$136,000 USD Price Drop ! 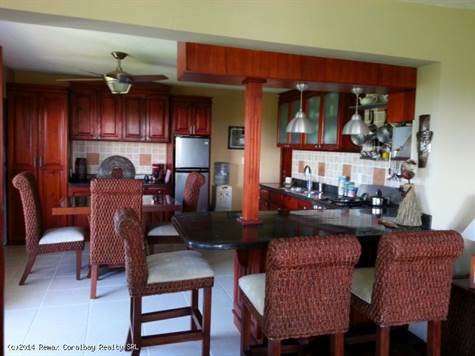 The apartment is located in one of the best known gated condominiums in Sosua. Not far from the airport you can walk to the next supermarket within 2 minutes. Even an international school, German bakery and other amenities are very close by. The apartment features 2 expansive bedrooms a very well equipped and gorgeous kitchen and a view like no other from the bed in the master bedroom. First thing you can see in the morning is the ocean! A 10 minute walk to the next beach makes it a perfect match regarding price - comfort - location! Call us today!